This pair of legs is superb to put your values menswear collections. You can repaint it in the color and in the finishes you want: matte, glossy or satin. So you can customize your windows at best. This leg pair requires little maintenance and is easy to handle. Available delivery, these legs are delivered with a square metal base that attaches to the foot. 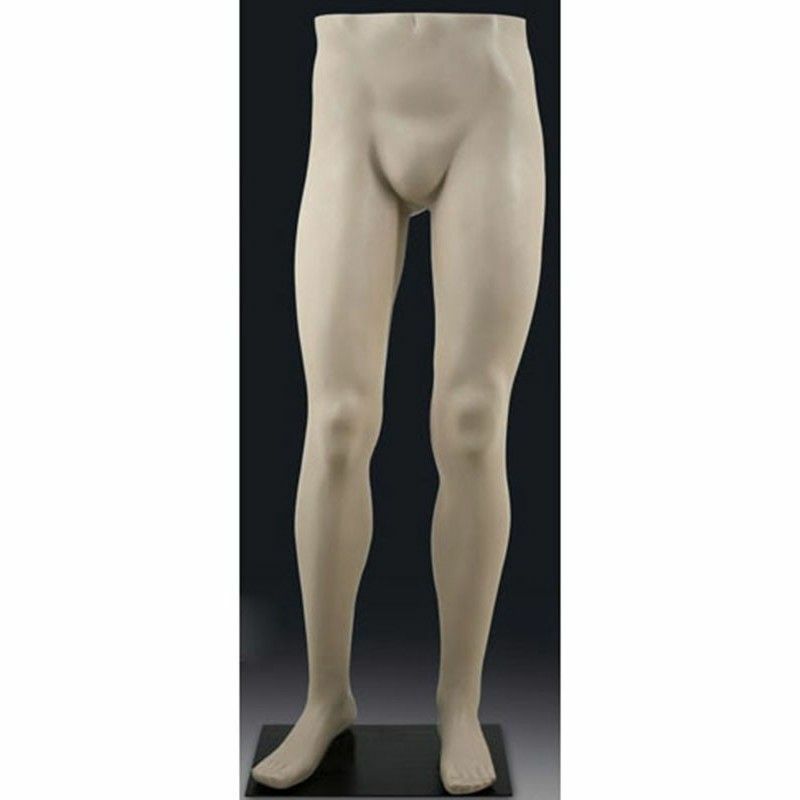 Beautiful pair of legs men with a fixation in the calf with a rectangular metal base. The material is polyethylene and the base color is black. The dimensions are 117 cm in height and a height of 84 cm.